As a member of Family Promise, UUCSH works to assist other South Hills churches with care and housing for area homeless families. Our members transport guest families, make and serve hot meals, babysit children and act as church hosts during designated hospitality nights throughout the year. Habitat for Humanity is a nonprofit, ecumenical Christian housing organization building simple, decent, affordable housing in partnership with people in need in Washington County, PA. Numerous UUCSH members contribute their time and skills to approximately six building events per year. 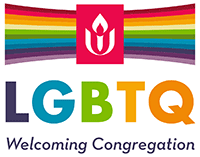 UUCSH is a founding member of PIIN and the Social Justice Committee spearheads the church’s involvement with this valuable partner through public action meetings, government lobbying and congregational organizing. Several members of UUCSH sit on PIIN Task Forces focused on Gun Violence, Immigration, Education, Jobs/Economy and Transit Equity. The Social Justice Committee works closely with area UU churches to support Pittsburgh Pride and Pride March, the city’s premier LGBT event. We organize staffing for the shared UU cluster booth at the PrideFest event to show our solidarity and share our UU values with the community at large. SHIM is a local resource for struggling South Hills families that includes a food pantry, community garden and afterschool tutoring for refugee children. It assists more than 400 families each month. UUCSH contributes regularly to SHIM food and clothing drives and has held fundraising events to benefit the refugee program. Every December, UUCSH sponsors several families in the Washington, PA shelter. Congregants purchase “wish list” items for the women and children, which are donated in time for the holidays. Also, a mitten tree in the sanctuary is decorated with warm winter apparel for children, which is then donated.